Tom has collected years of wisdom about traveling and camping in general and is going to share some of his best mind-‘streamin’ ideas with you! 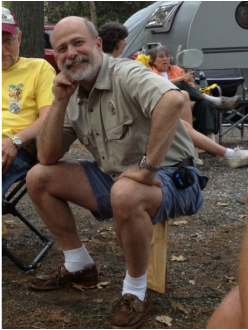 Here he will provide his favorite camping tips, review products, give technical instruction, critique camping options and tell stories from his 55 years of accumulated knowledge. Click on his "Mind-Streams" tab drop-down menu to see what he has to share!